MONDAY, Jan. 11, 2016 (HealthDay News) -- With only three weeks left in the latest Affordable Care Act enrollment period, U.S. health officials and community advocates are ramping up efforts to sign up difficult-to-reach Latino Americans. The U.S. Department of Health and Human Services (HHS), the nonprofit coalition Enroll America and other national enrollment partners have launched a "Latino Week of Action" targeting uninsured consumers in Latino communities across the country. More than 15 national organizations are hosting local and online events this week to educate consumers and provide resources to help them sign up for health insurance coverage under the Affordable Care Act, also known as Obamacare. "With the help of our partners, we're going to push for a very strong finish," HHS Secretary Sylvia Mathews Burwell said during a media briefing to announce the enrollment initiative. Latinos have seen some of the largest coverage gains in the first two open enrollment periods under the Affordable Care Act, Enroll America President Anne Filipic said at the briefing. Yet, they remain more likely to be uninsured than other Americans. One in five Latino American adults still lives without health coverage, she said, citing a recent Urban Institute study. And four in five still don't know that financial help is available to lower their monthly premium. This year's open enrollment period, which began on Nov. 1, 2015, ends on Jan. 31. Consumers who enroll by Jan. 15 can get Obamacare coverage effective Feb. 1. Those who sign up later in January can get coverage that begins on March 1. For Jan. 1, 2016, coverage, consumers had to enroll by Dec. 17, 2015. That deadline reflected a two-day extension granted as a result of unprecedented demand, federal officials said. "On Dec. 15th -- our busiest day in history -- we signed up 600,000 people for health coverage in just 24 hours," Burwell said. As of Jan. 7, approximately 11.3 million people had signed up for coverage: 8.6 million through HealthCare.gov in 38 states and another 2.7 million in 13 state-based marketplaces, the U.S. Centers for Medicare and Medicaid Services reported last week. Those numbers reflect health plan selections -- not the number of people who have paid their health plan premiums, which is the final step to initiate coverage. HHS has seen an uptick in one key demographic this open enrollment period: the number of young adults, under age 35, enrolling in coverage. Signups through Dec. 26 totaled almost 4 million, compared to 1.1 million a year ago. "It is too early to know, and it may be not possible to know, exactly what is driving the increase in enrollment this year compared to other years because there are so many factors," said Dr. Meena Seshamani, director of the Office of Health Reform at HHS. 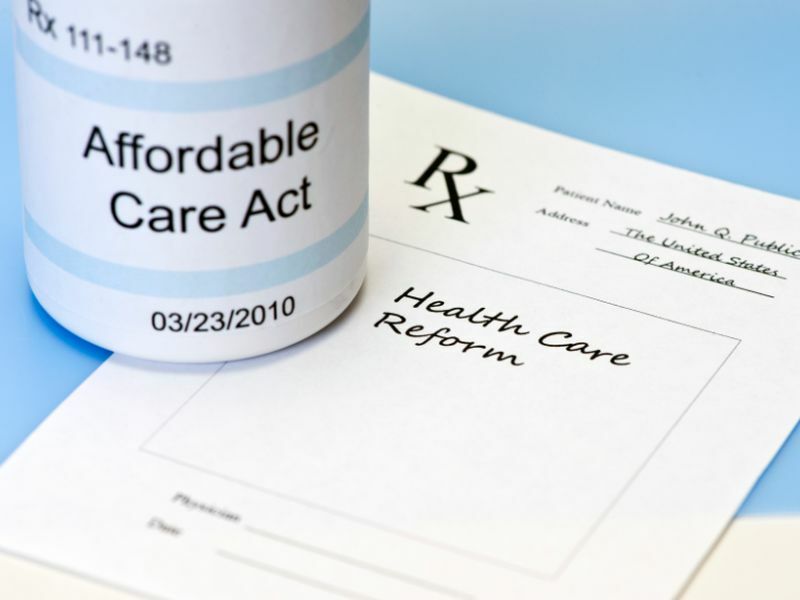 One potential driver is the Affordable Care Act's coverage mandate. People who can afford coverage but choose to remain uninsured (and don't qualify for an exemption from the law) will pay a penalty of at least $695, or $2,085 per family, when they file their 2016 federal taxes in 2017. With the increased rates this year, the penalties can run as high as 2.5 percent of household income. "For some, having that penalty could be motivating them to come in for coverage," Seshamani acknowledged. But there are those who are apparently willing to pay the penalty. Debra Hammer, a spokeswoman for Intuit Inc., which sells tax preparation software, said 3 percent of its 30 million TurboTax customers paid the penalty by the end of last year's tax season, with the largest group being young single adults, ages 26 to 35, with no dependents and earning less than $50,000 a year. "But, this year we're anticipating that it will go to about 2.5 percent given that the penalty's going up," she said. Last year, 40 percent of the company's uninsured customers qualified for an exemption from the penalty, Hammer added. Kimberly Tweed, director of marketing and development at CompleteCare Health Network in Bridgeton, N.J., oversees a team of certified application counselors who help people in New Jersey enroll through HealthCare.gov. She said consumers are aware of the penalty and are weighing their options. "At least when they're buying health insurance, they're getting something back for it," she said.